This building at Camp Hancock (originally Camp Greeley) is the oldest remaining building in Bismarck, constructed in 1872 as a military post and supply depot to ensure expansion of the Northern Pacific Railroad. Camp Hancock later housed the U.S. 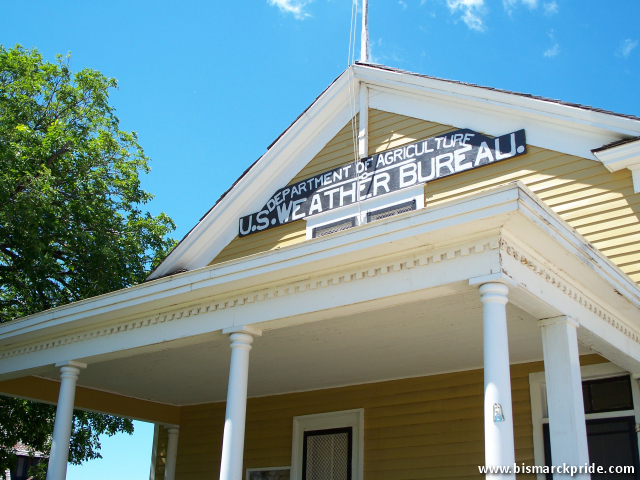 Weather Bureau until 1940. Also located on the site is a vintage 1909 Northern Pacific Railroad Locomotive, donated to the site in 1955; and the historic Bread of Life Church, which was completed in 1881.